Monk Parakeets Nesting in Secaucus? 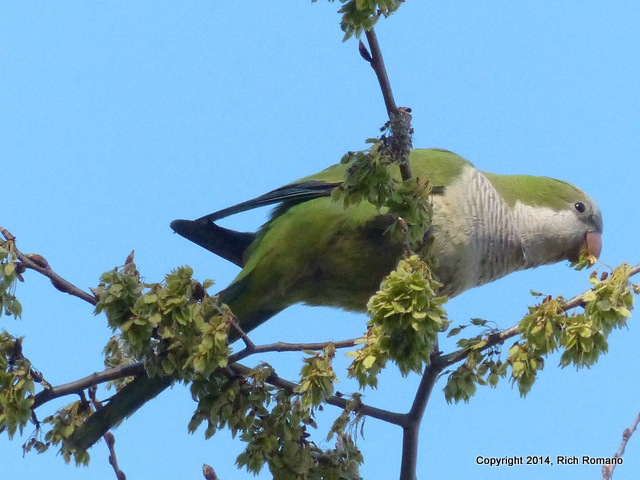 Here’s a shot of one of two wild parrots that nest in Secaucus near Schmidt’s Woods, photographed Monday. 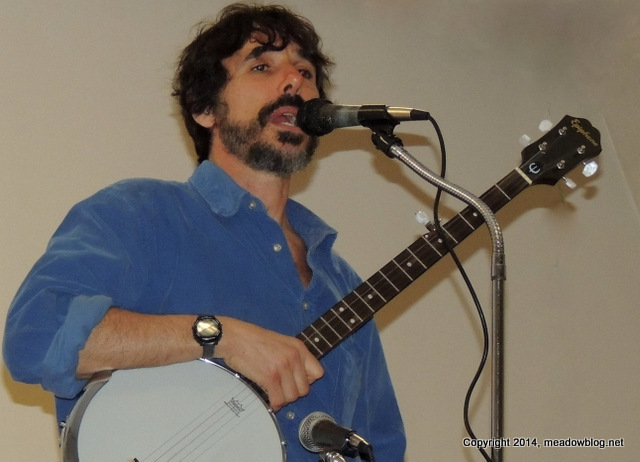 A big thank you to 75+ folks who attended the wonderful free Earth Day concert at DeKorte Park last night, featuring folk-singer/songwriter Spook Handy. For fans of Spook and his inspirations — Pete Seeger and Woody Guthrie — it was a memorable evening. 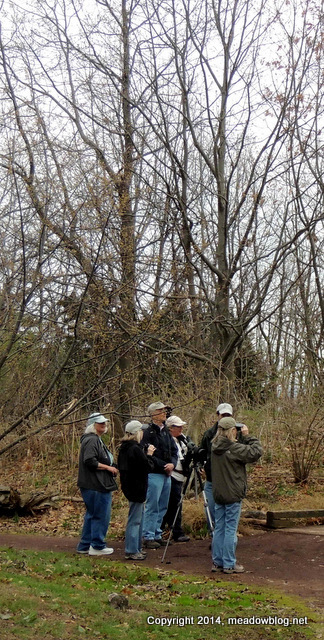 The concerted was sponsored by the Bergen County Audubon Society and hosted by the Meadowlands Commission. and it was preceded by a free guided nature walk in DeKorte Park. Highlights included a crowing Ring-necked Pheasant, a couple of Osprey with fish, and assorted duckage. 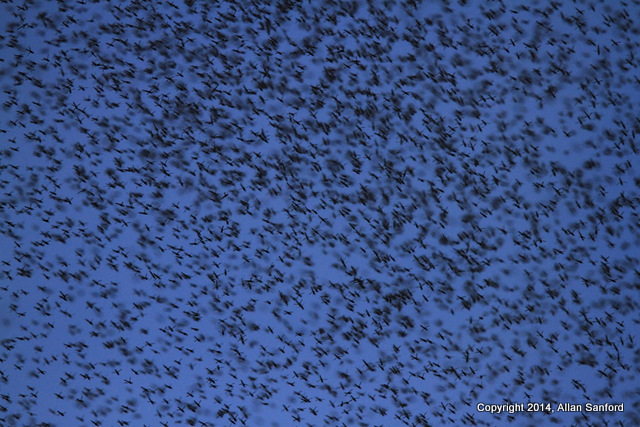 As visitors to DeKorte Park and other Meadowlands locales may have noticed, we are getting a lot of Midges these days. The good news is that they don’t bite, and the birds (especially the Tree Swallows) love them. The bad news is they can be annoying if you walk too close to a shrub where they congregate. 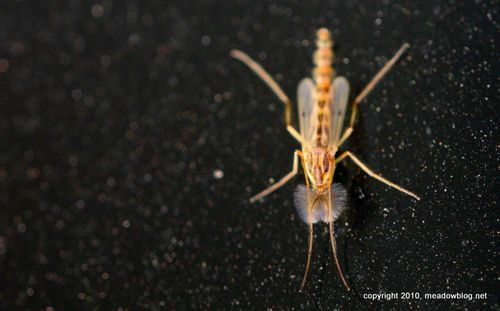 They are amazing bugs of the Chironomid family, and they have long “whiskers” on their heads, as evidenced by the close-up photo below. 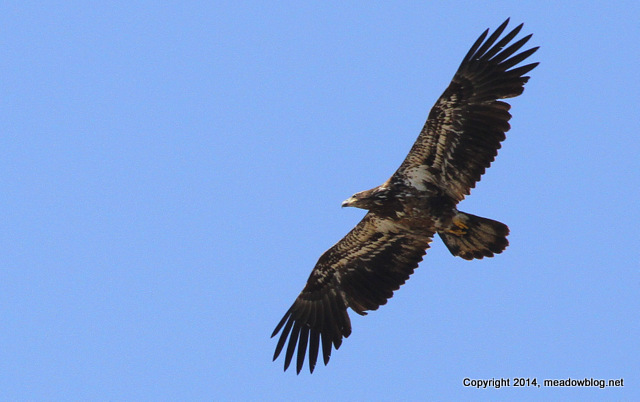 Bald Eagle above Valley Brook Ave.
We photographed this young Bald Eagle over Valley Brook Ave. on Monday afternoon after he rousted the two Ospreys from their nest.